You may be thinking of starting a new line of products or changing your packaging, or perhaps your brand has just had a fresh overhaul. That means it’s now time to go out and find a Label Printer that can manufacture and print the exact labels you need for your product. 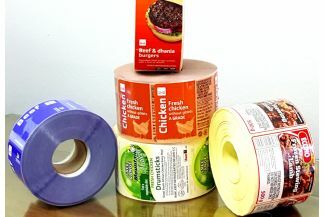 If you are new to printing labels you may be looking for a label printer that can offer you a lot of guidance and advice. You will want a Label Printer that is comfortable in working with start-ups and can take the time to explain various printing techniques and materials needed. If however you are quite experienced in working with label printers and know what you need you may need a Label Printer that knows exactly what you want and is able to produce your labels quickly and efficiently. Depending on what you need from a Label Printer determines the type of questions you should ask. For example, are you able to provide me with assistance end-to-end? Do you have a 24/7 support line? Do you offer technical assistance? 2. How much experience does your Label Printer have? The best Label Printers usually have many years’ experience in the label printing business and as such have firm, reliable and established relationships with suppliers. They therefore instinctively know the best materials to use, how long it will take to manufacture a label and how to make it the most cost effective for you. It’s a good idea to partner with a Label Printer that has many years’ experience in the label printing business. If, for example, you have a unique container that needs to be labelled, it is again important to find a Label Printer that has experience in unique containers. Read more about this in Labelling your Unique Container. 3. Is the Label Printer within your budget? If you are a new start-up you will more than likely be watching your budget. Ask for a quotation from your label printer and remember to include as much information about your requirements as possible. Prices of label printers may vary depending on the size of the project and quantities needed, tooling needed, materials used and time frame. More often than not larger quantities will be more cost effective. This is a very important question indeed as getting your product to market in time will heavily rely on the label printers involved. It’s therefore important to partner with a label printer that will stick to your deadlines and can turn around a project timeously. Established label printers will be able to do this. 5. Does the Label Printer have good references and examples of work? Ideally you would like to work with a Label Printer that has experience in your industry as well as a list of satisfied clients. You should ask for samples as well as references in order to decipher whether the label printer is the right one to partner with for your needs. 6. Does the Label Printer adhere to industry standards and guidelines? This is a very important point especially if you are printing barcode labels. There is an international standard for Barcode Labels that needs to be adhered to (GS1) and the Label Printer you choose should be aware of this. Read more about this in Barcode Labels: What you Need to Know. Similarly when printing Food Packaging Labels, all nutritional information and manufacturing information needs to be correctly displayed. Read more about that in Do you really know what’s in your Food? 7. Is the Label Printer able to handle your printing load? If you are looking at printing a large quantity of labels, it’s important to clarify this with the Label Printer and find out whether they have the machinery, equipment and manpower to fulfill the order correctly and on time. Make sure that you discuss this in detail with your Label Printer before getting started. Ideally you want to find a Label Printer that you can partner with for the long term. The more labels they print for you, the more they will understand your needs, timelines and requirements and this will lead to loyalty as well as quality work. The relationship will be mutually beneficial and correctly and timeously printed labels will be one less job you need to worry about.